January 1st, 2016. 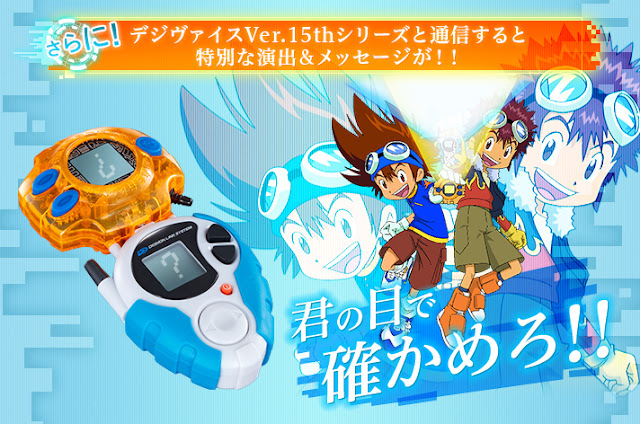 The fifteenth anniversary remake of the D-3 Digivice is no longer available; all six thousand units have been ordered, and will be shipped to consumers in June 2016. The Motomiya Daisuke color D-3 sold out first, becoming unavailable on December 30th, while Ichijouji Ken's could still be ordered until today. The D-3 Ver. 15th is being produced in extremely limited quantities, possibly as a way to test the market for products beyond the original Adventure series. Along with the D-3, a reissue of the original Ver. 15th for March 2016 was simultaneously announced, but those orders closed several days earlier. Good news for the Digifans! Hope they do a 15th Ver. remake for the Digivices of the rest of the seasons.